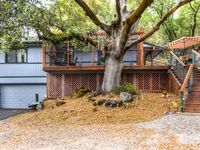 Property 1: 'Avery House' Pollock Pines Cottage w/Hot Tub! Property 2: Bearstone Cabin Adorable Awesome Updated Great Location South Lake Tahoe Ca. Property 6: Rustic Pollock Pines Cabin w/Large Deck Near Lake! Property 8: Walk to Casinos - Shopping - Gondola - Everything! South Lake Tahoe Cabin - Steps to Water & Gondola! Property 11: South Lake Tahoe Cabin - Steps to Water & Gondola! Sensational Lake Views - Chalet at Meeks Bay! Booking for Summer! Property 15: Sensational Lake Views - Chalet at Meeks Bay! Booking for Summer! Property 18: Candlewood Relaxing Tahoe Cabin with a Large deck in a great neighborhood. Dog-friendly cabin with private hot tub near Camp Richardson marina. Property 39: Dog-friendly cabin with private hot tub near Camp Richardson marina. Lovely Secluded Cabin W/ Private Hot Tub & Pet Friendly! Property 41: Lovely Secluded Cabin W/ Private Hot Tub & Pet Friendly! Custom South Lake Tahoe Cottage for 6 – Close to Parks and Beaches! Property 44: Custom South Lake Tahoe Cottage for 6 – Close to Parks and Beaches! 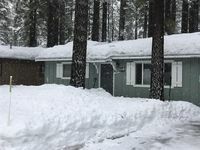 Property 46: West Lake Tahoe Chalet, 3 bd/2bth, Hiking, Biking, Skiing, Sledding, Sleeps 8. Property 50: CUTE AND COZY CABIN! Cozy cabin; great location and tons of snow! We stayed here for a quick weekend trip. Stephanie's place is wonderful and very convenient. My daughter loved playing in the snow in the backyard and they even stocked a ton of children's books for her to read! The cabin was very clean and Stephanie was very quick at responding. The only issue we had was that the main bedroom got super hot/dry/stuffy at night even though we didn't have the temperature up very high (and the rest of the house was frankly kind of cold). Our second night there we just left the bedroom door open a bit and that seemed to fix things and regulate the temperature fine across the house.